In the past, people might not be familiar with the laser stage lights. However, things have changed drastically within the last years and laser stage lights have become more and more popular. Sometimes, a production house will include the regular lights and the laser lights together to achieve a more artistic result. Sometimes, a production house will only focus on the laser light without using the regular one. So, what are the benefits of such lights? How is their standing today? Unlike the regular lights that are using the rays, the laser stage lights are using beams that can be tweaked or adjusted to whatever needs you have for the stage performance. Another cool thing about the laser stage lights is the fact that they are generally controlled by the sound. Not to mention that the beams can change color, effects, speed, and patterns –depending on the types of effects you want to have. 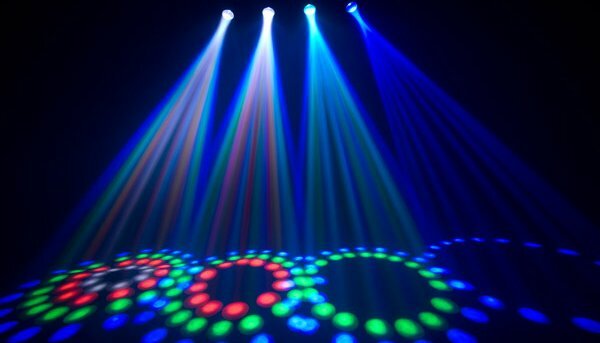 if you want to have a lively performance, choosing the laser light is a good option because the effects, patterns, colors, and speed can change, following the produced musical sound. It can come in various interesting patterns and colors. In fact, the laser light is easily adjusted to create appealing effects – much easier than the regular stage light. It comes in various types, designs, and sizes. There are mini laser lights and there are big laser lights. The mini laser light is usually used in bars, nightclubs, family parties, pubs, disco halls. Since the light comes in various different colors, it can set up a certain tone or mood, depending on the setting on the stage. Keep in mind that laser lights are more colorful, which can be perfect in creating a cheerful mood on the stage. Such lights are often used in music performance, concerts, and such things alike. Laser lights can deliver a more economical cost arrangement. Since the laser can be used to create a 3D effect, you don’t need to have other optical elements or items – which can save you a lot of money in the end. Laser lights are pretty adjustable and flexible. It can be used in a smaller venue as well as bigger one. It can be used indoor or outdoor. It can be used in the simplest arrangement or with other sophisticated systems. Basically, you can get whatever types of effect you want from the laser lights – depending on how you manage it.